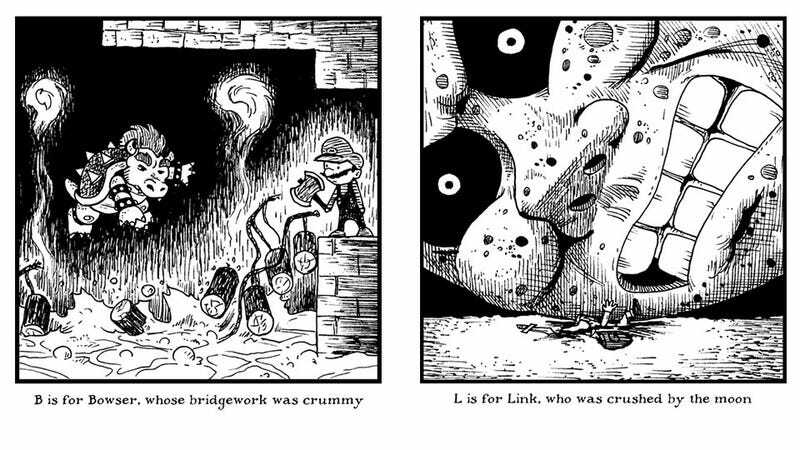 Comic artist Brentalfoss has come up with a video game alphabet that I would buy as a poster in a heartbeat. Oh, it's available as a poster? Wonderful. Based on vintage child-death catalogue The Gashlycrumb Tinies, the temptation is there to put it on a kid's wall, even some of these are actually pretty dark. Then again, someone who's a kid now probably won't even know what the hell Majora's Mask is, so that may actually be fine.